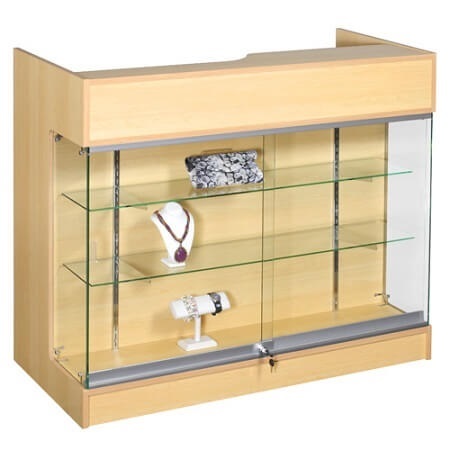 Home > Cash Wraps / Counters > Maple Ledgetop Counter With Showcase - 48"
This Maple Ledgetop Counter With Showcase comes in a elegant maple finish that will have a nice visual appeal as well as blend well with your store decor. 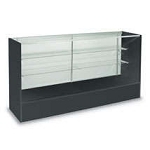 With two sliding glass doors on the front you can easily add and remove merchandise as well as allowing customers a clear and unhindered view. The sliding doors lock so you can have peace of mind about any items placed within. 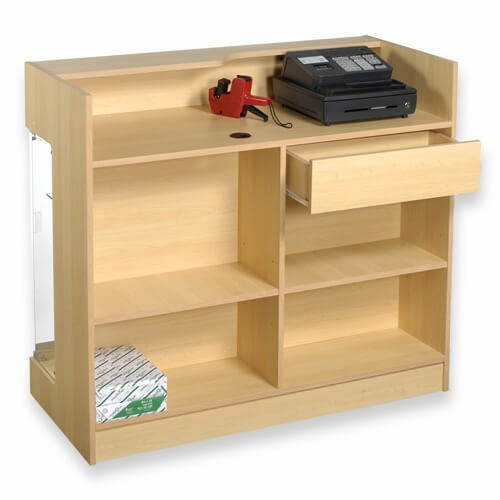 Place your register on the top counter space and have access to the storage space on the backside for bags, extra inventory and more. 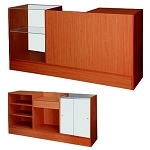 This showcase is also available in Black and Cherry finishes. Order yours today.